Up until this month, Method:Donor users had to visit their public online donation pages to process donations. We’re excited to announce that users can now enter credit card information and process donations directly within the Method Donations App. This update will make it easier to record and process donations that are received by mail or in person. 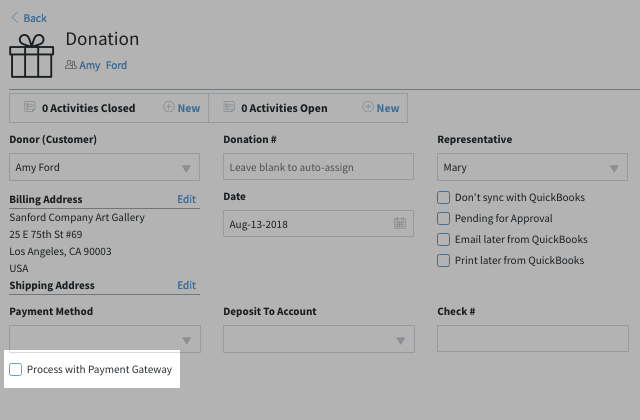 If you have a payment gateway configured in your Method account, you will now see a checkbox for “Process with Payment Gateway” on the donation screen. Check this box and enter the donor’s billing information, then fill in the rest of the donation information as normal. It’s that simple! Much like our Method:Donor customers, Method:CRM users can now process payments directly within the Sales Receipts app. If you have an active payment gateway in your Method account, you will now see a checkbox for “Process with Payment Gateway” on the sales receipt screen. Check this box and enter the customer’s billing information, then fill in the rest of the receipt information as normal. For more details on creating a sales receipt in Method, see this article for QuickBooks Desktop users or this article for QuickBooks Online users. It’s now even easier to record payments against invoices in Method. When you create or edit an invoice, you’ll see a Receive Payment button at the bottom of the screen. Clicking this button will bring you directly to the Payment screen, where the customer and invoice information will be automatically filled in for you. From there, log and process the payment as normal. 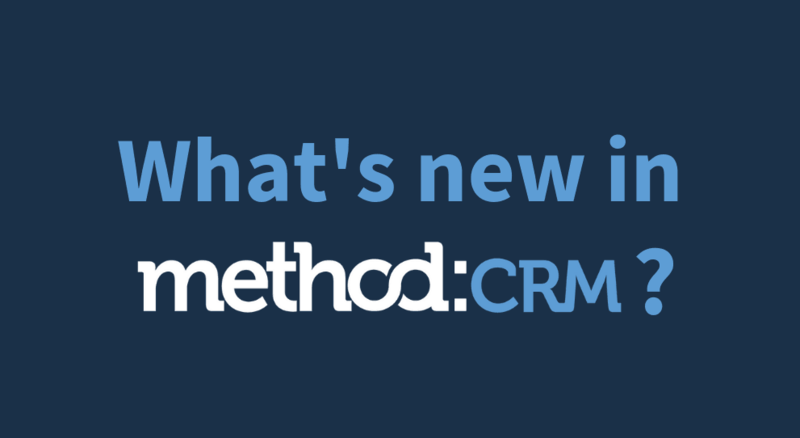 We’re happy to announce the release of an updated Method Sync Engine for QuickBooks Desktop users. The new version of the Sync Engine offers an improved sync experience for all QuickBooks Desktop Method accounts, as well as a smoother onboarding experience for new accounts. To get the full scoop on the new Sync Engine, check out this blog post. That’s it for September — stay tuned next month for more product updates!